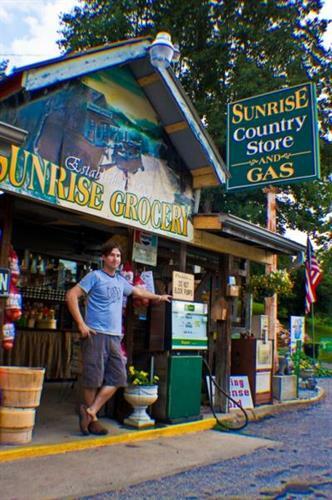 Sunrise Country Store was established in the early 1920's. Our store is tucked in the mountains right at the base of Blood Mtn. There are some tales that Sunrise was known to do a little bootlegging back in the good ole days! We found some evidence of that during a recent renovation where we moved an old table and found 7 bottles of whiskey! 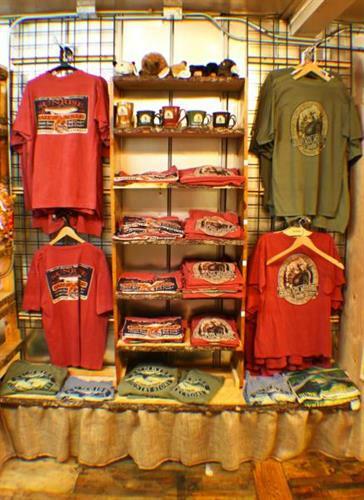 We are an authentic country store and our goal is to take you back in time. 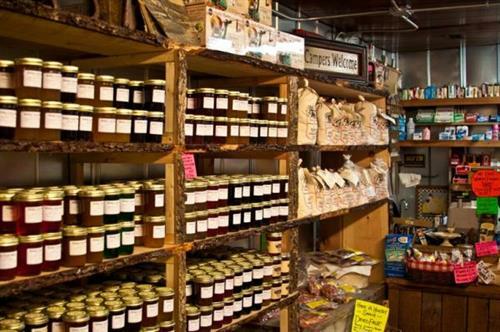 We sell honey, local syrup, ole fashion hoop cheese, jams and jellies, clothing, camping supplies, firewood, fishing supplies, local fruits and veggies, local handmade pottery, local ground meal, warm fried pies, fresh apple cider, my little boy's famous cold lemonade, and of course our WORLD FAMOUS BOILED P-NUTS!!!!! 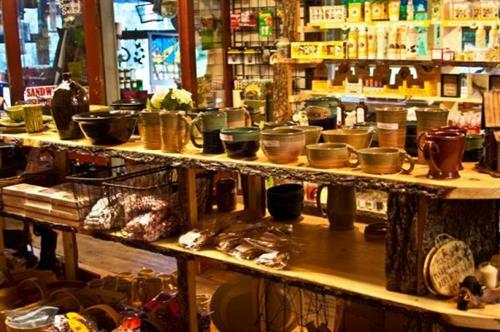 We have been featured in Southern Living Magazine, Atlanta Journal, and various other publications. We are also one of the few places left that will sell you a fishing or hunting license. It's always been a family owned business that has loved helping our customers find their way to the best fishing hole or the not so well known waterfalls. While you are here let us give you a place to stay in our beautiful Sunrise River Cabins located on the Nottley River. 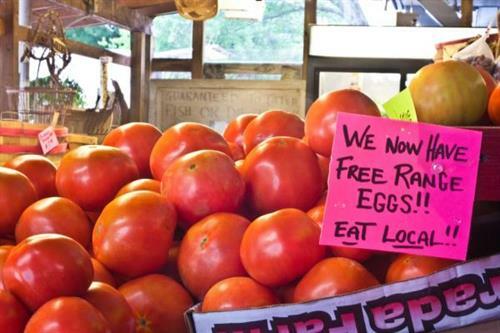 We hope you will stop by so we can give you a taste of what the North Georgia Mountains are all about!! Our World Famous Boiled P-nuts!!!!!!!!!!!!!!!!!! We are located about 8 miles South of Blairsville on 19/129 on your right.